China’s Loan Is No Problem To Nigeria, Buhari Assures U.S.
(News Investigators) /President Muhammadu Buhari has assured of Nigeria’s capacity to meet its debt obligations to the Chinese government, dismissing insinuations that loans obtained from China might constitute debt trap for African countries. Mr. Buhari, in a veiled reference, was reacting to warning by United States of America, that loans from China should be seen as “Greek gift”. “We are not in any way attempting to keep Chinese dollars from Africa,” Tillerson had said during a state visit to Africa. “It is important that African countries carefully consider the terms of those agreements (with China) and not forfeit their sovereignty,” he added. The position had also been reechoed by U.S. President Donald Trump, who recently expressed similar concern. But, Mr Buhari said Tuesday that Nigeria’s partnership with China through the Forum of China-Africa Cooperation (FOCAC) has resulted in the execution of vital infrastructure projects across the country, valued at over $5 billion. The president’s assertion is contained in a statement by Presidential Spokesman, Garba Shehu, issued in Abuja on Tuesday. According to the president, “these vital infrastructure projects synchronise perfectly with our Economic Recovery and Growth Plan. “Some of the debts incurred are self-liquidating. Our country is able to re-pay loans as and when due in keeping with our policy of fiscal prudence and sound housekeeping,” Mr. assured. The president disclosed this in Beijing, in a statement on Tuesday in Abuja by his Senior Special Assistant on Media and Publicity, Garba Shehu. He added that the president’s disclosure was at the FOCAC Round Table meeting, attended by African leaders and Chinese President Xi Jinping. He quoted Mr Buhari as listing specific projects executed through the Chinese support under FOCAC in the last three years to include areas of infrastructure and human capacity development. According to the president, the Chinese support to Nigeria has also impressively addressed significant challenges in the areas of power, transport, agriculture and humanitarian assistance. The president also cited the construction and operation of the first rail system in Africa that used modern Chinese standards and technology. 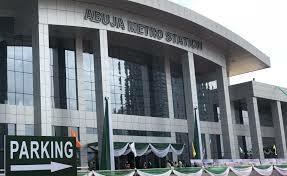 “This 180-km rail line that connects Abuja and Kaduna was commissioned two years ago at a cost of $500 million. “Today, the rail line is functioning efficiently with no issues – indeed, a sign that Chinese technology is world class,” he noted. “Nigeria is leveraging Chinese funding to execute $3.4 billion worth of projects at various stages of completion. These he said include the upgrading of airport terminals, the Lagos – Kano rail line, the Zungeru hydroelectric power project and fibre cables for our internet infrastructure. The Nigerian leader said that the aforementioned projects had demonstrated the high level of consistency and commitment China had shown in boosting its relations with African countries under the umbrella of FOCAC. This according to him is as an additional Chinese mechanism to build further cooperation in our quest for infrastructural and economic development. The president applauded China for its overall commitment to the ideals of FOCAC. He acknowledged that since the launch of the Forum in 2000, China and Africa had strived to implement the declarations and follow-up action plans for the benefit of both parties. He also commended President Jinping, his government and the people for successfully hosting the Beijing Summit aimed at further strengthening China-Africa partnership.